The flight ban imposed on the reconnaissance plane Moonbird belonging to the Sea-Watch rescue organisation is a “scandal”, according to Präses Rekowski, chair of the advisory commission on Migration and Integration of the Evangelical Church in Germany (EKD). “It is an amputation of humanitarian assistance that the Moonbird cannot fly,” Rekowski declared at noon today. 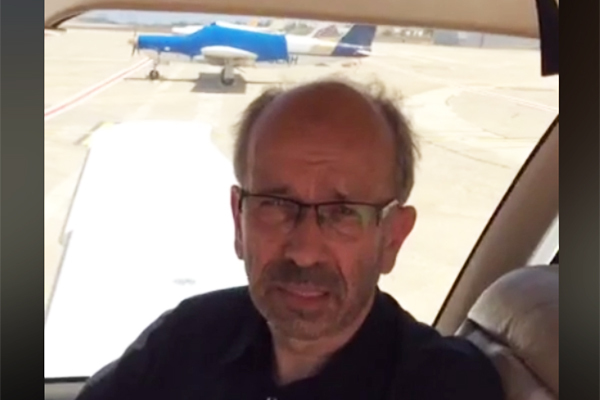 “The general public is not meant to notice what is happening.” At present the small aircraft is not permitted to leave Maltese sovereign territory. The plane reports boats in distress at sea to the competent state emergency authority in Rome, which initiates and coordinates rescue operations. The EKD supports the deployment of Moonbird financially, contributing up to EUR 100,000 in 2018. The Facebook page of the EKD and the Facebook page of the Evangelical Church in the Rhineland are reporting live (in German) and church president Manfred Rekowski is posting reports of his trip on his blog. All channels plus photos, reports and videos are linked or accessible at ekir.de/malta.